In addition to the book list, you'll find a short list of activities and nursery rhymes that complement the theme. 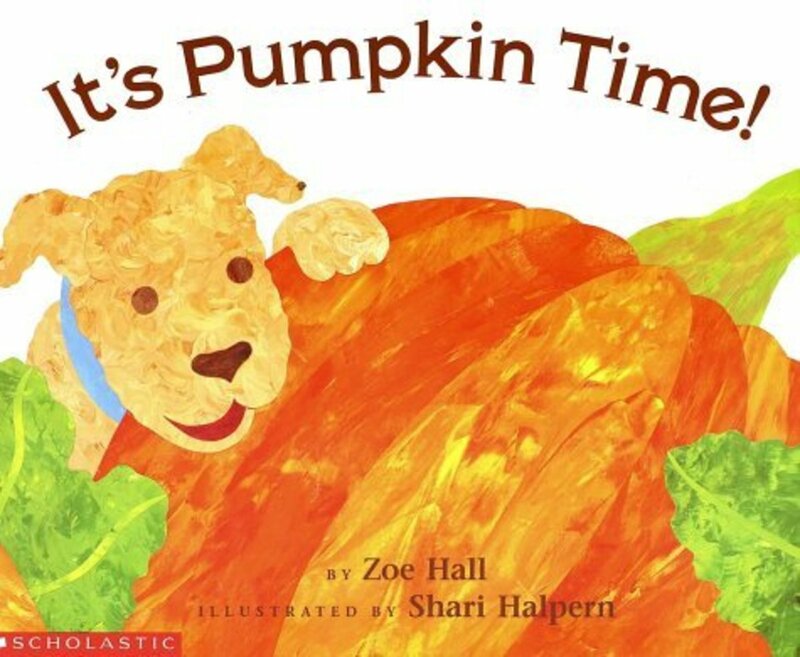 What October preschool class wouldn't be complete without a story unit, either factual, or ficitional, that explores the wonderful pumpkin? 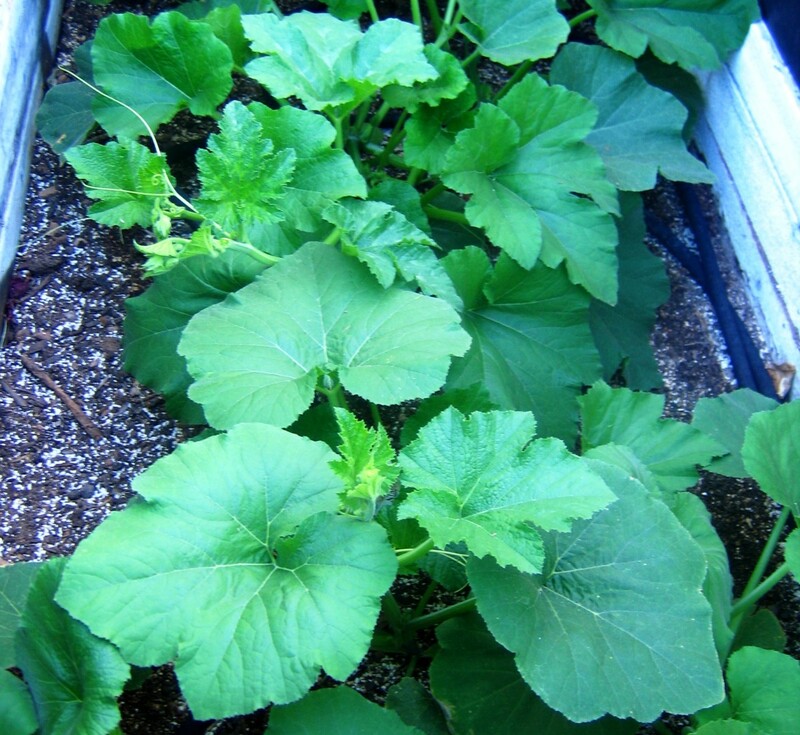 This plant is one of the most popular vegetables grown in America, and is fun to grow, carve, and of course, eat! The bounty of a fall harvest. The amazing abundance of the earth. Identify differences and similarities in size, shape, and color. Learn about the process of growing from seed to plant in a garden. Talk about the nutritional qualities of fruits and vegetables. 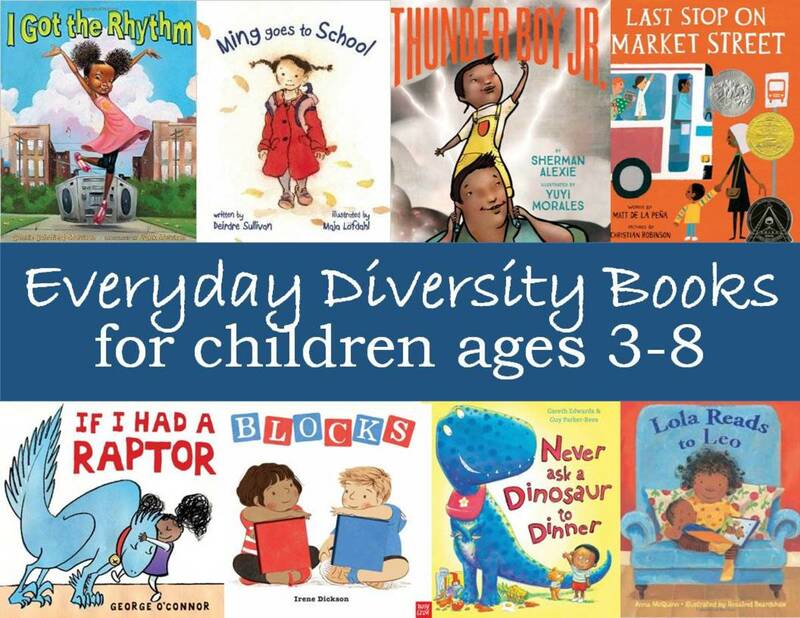 The following list of recommended children's picture books includes a short description of each title, with both fiction and nonfiction selections. These stories featuring pumpkins are written for preschoolers and early elementary age students. Keep reading after the list of children's picture books to find activity ideas to supplement your teaching. 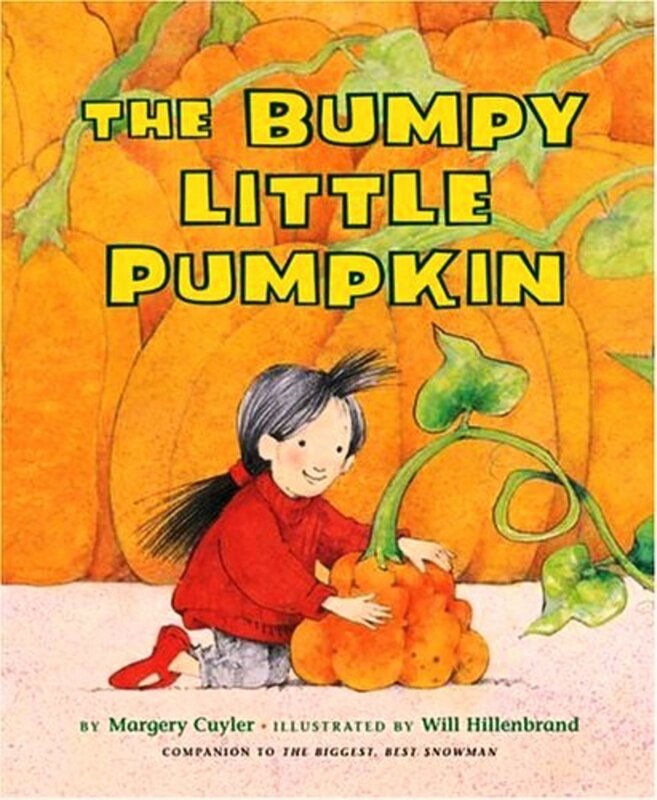 The Bumpy Little Pumpkin by Margery Cuyler and Will Hillenbrand shares elements of a fairy tale and realistic fiction. Little Nell has two big sisters who don't think she is capable of selecting an appropriate pumpkin for making a Halloween Jack-O-Lantern. But with the help of some talking animal friends reminiscent of Cinderella, she selects a perfect, bumpy little pumpkin that they carve together. At the end of the day, she brings her new creation inside, to the surprise of her older Big sisters. This story has especially appealing artwork and is published in an over-sized format that will be easy to read in a story time gathering. This book also emphasizes the difference between small, medium, and large. 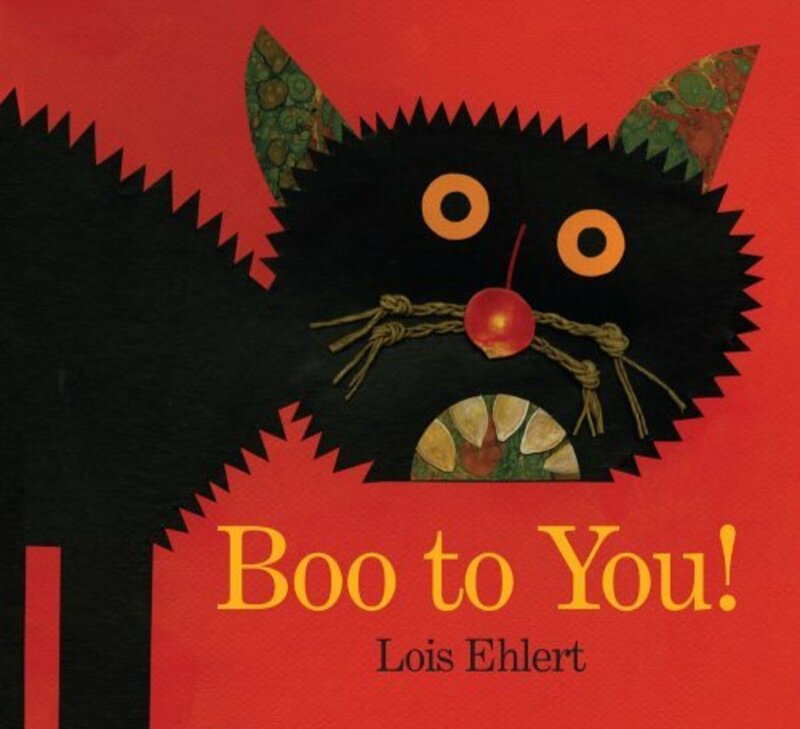 Among other Halloween-themed images from this book, Boo to You! by Lois Ehlert features cute little mice and fall gourds on midnight-black backgrounds. The text is simple and not at all scary. It's hard to go wrong with this artist and author, whose collage art is featured in her long and accomplished repertoire. 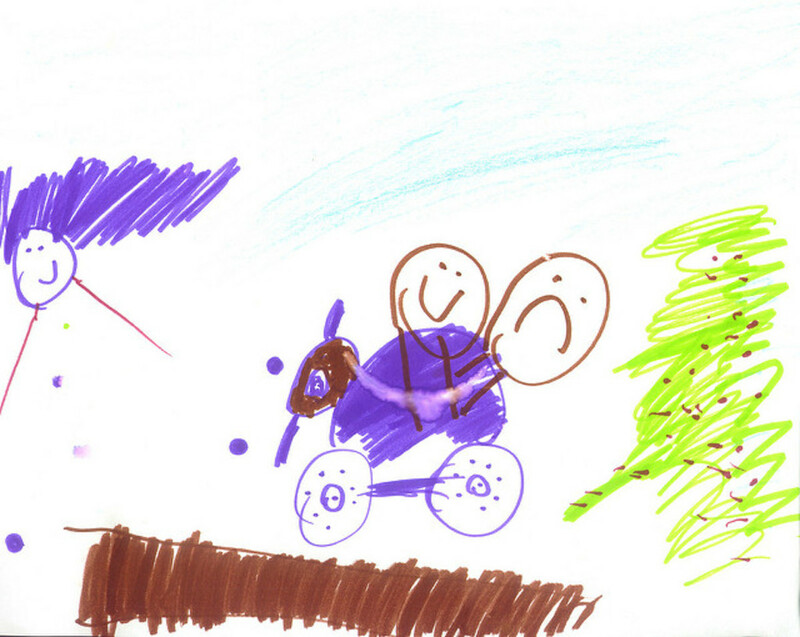 As you look at each of the pictures, identify objects on the page with your children. For example, what is the cat's nose on the cover of the book? What are the cat's teeth? 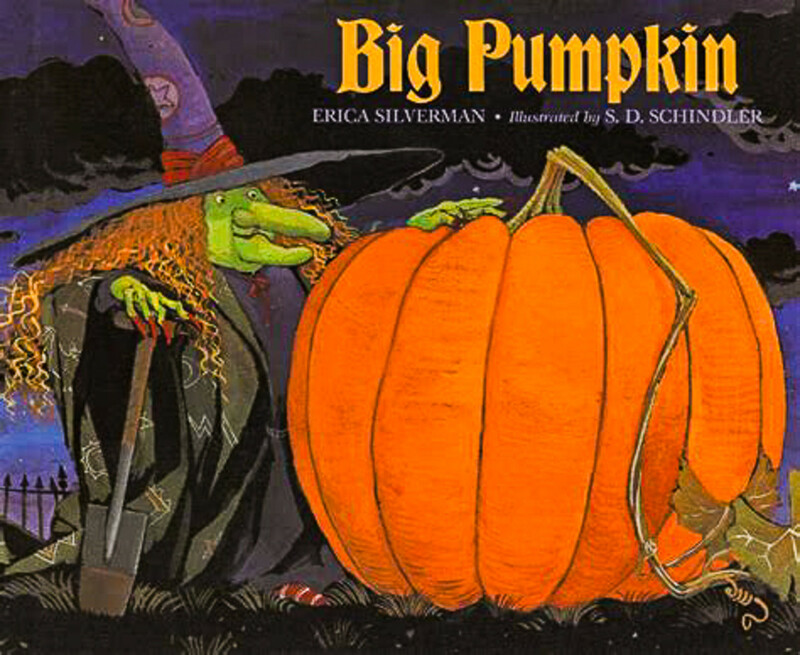 Big Pumpkin by Erica Silverman and S.D. Schindler tells the story of a witch who wants to make pumpkin pie for Halloween. But after planting a seed and watching it grow until the witching hour is upon her, she soon realizes that she has a big problem--the pumpkin has grown so large that she can't move it by herself. Her friends the ghost, the vampire, and the mummy all show up claiming they are bigger and stronger than the witch, but they can't move the pumpkin by themselves. Then a tiny bat shows up with a new idea...working together! When everyone works as a team, the BIG pumpkin goes flying, and lands right in front of the witch's house. The moral of this story is that bigger isn't always better, and even little people can have big ideas. This not-too-scary Halloween themed tale is not only a good pick for educators, it will be an all-time favorite during circle time. 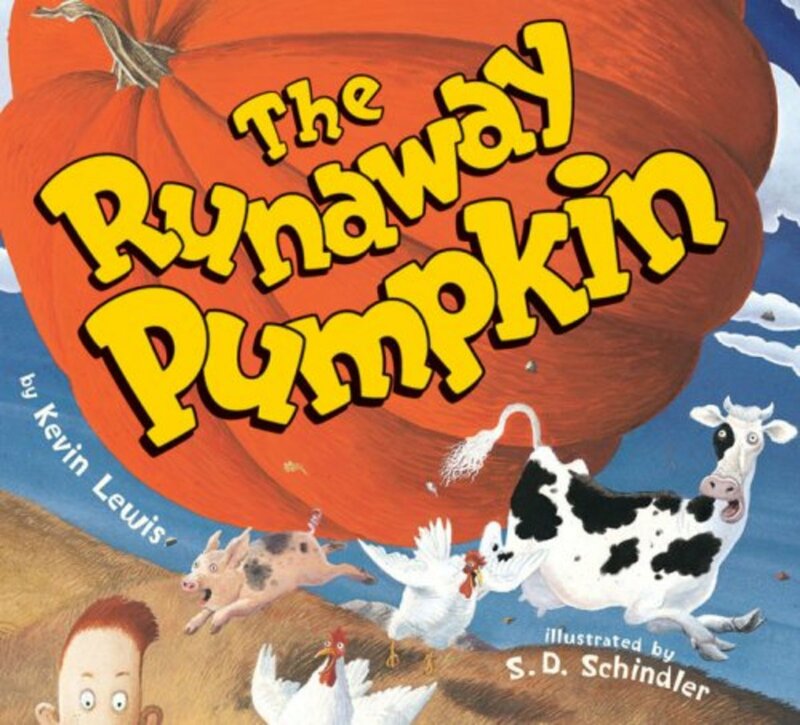 In The Runaway Pumpkin, by Kevin Lewis an over-sized pumpkin has no trouble moving at all. Youngsters Buck and Billy Baxter find a large pumpkin at the top of a steep hill, and despite the objections of little sister, they give the pumpkin a great big tug, and watch it roll wildly down the hillside. Each family member who sees it gets squashed by the pumpkin, but dreams of grandma's wonderful pumpkin recipes in the process. The story ends with a Halloween feast full of steaming pumpkin dishes, and a family dressed in funny Halloween costumes. I particularly liked Grandpa's. This book is full of rhyming text and will not only be a big hit in classrooms, but also with kindergarten teachers who are using rhyming words to teach pre-reading skills to their classrooms. 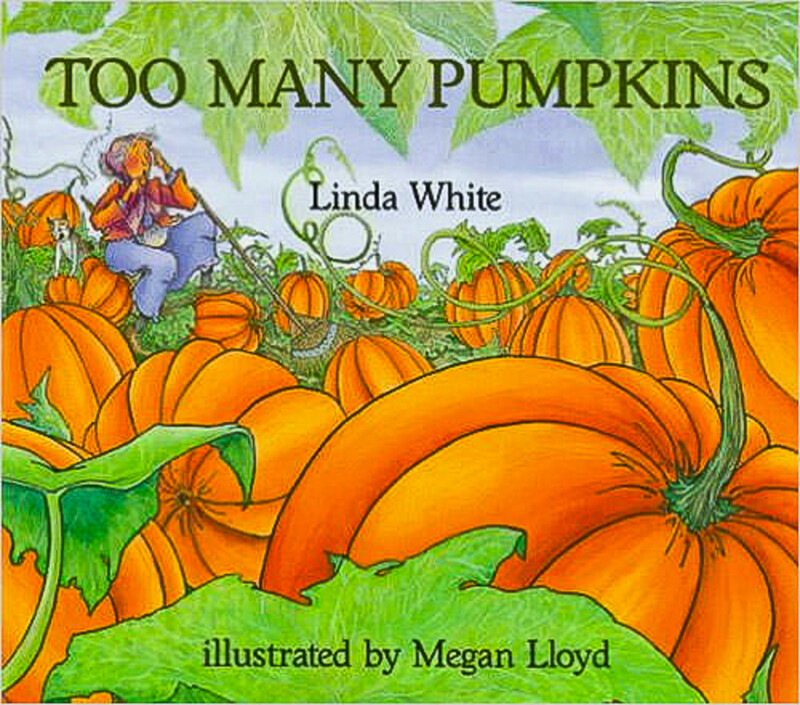 Too Many Pumpkins by Linda White. This charming story of an older woman who has spent a lifetime detesting pumpkins turns an annoying accident into a beautiful life lesson. Esmerelda grudgingly learns to turn her memories of a detested vegetable pest into a feast of resourcefulness and generosity. This book is one of my all-time favorite stories. This book serves as an excellent addition to Halloween, Thanksgiving, harvest, or character-centered story time themes. 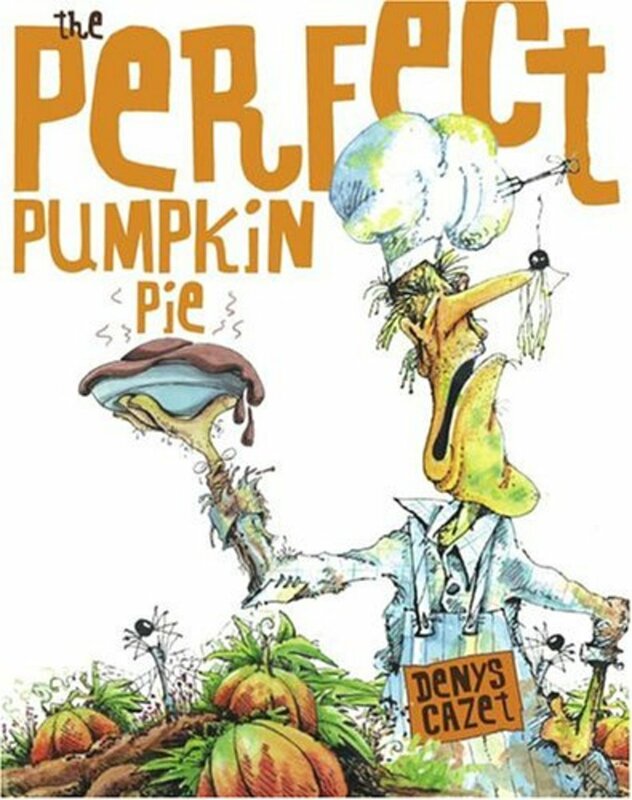 The ghastly ghost in The Perfect Pumpkin Pie by Cazet has a gastronomical quarrel with the new owner of his old digs. And if a fork through his forehead isn't enough to scare your early elementary-aged audience into eating their vegetables, then rest assured, grandma won't be taking any gaff from bullies: alive or dead. This book may be a little too frightening for preschoolers. 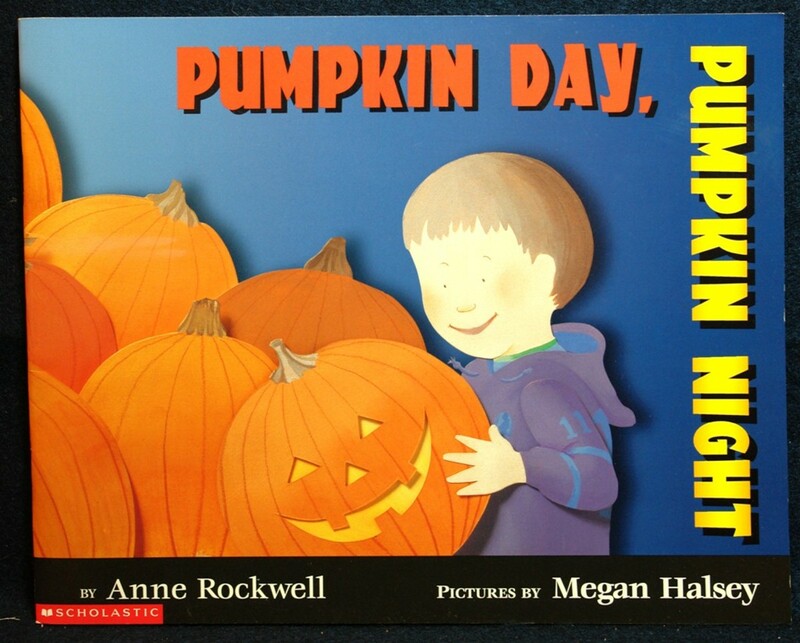 With its crisp illustrations and large print wording, Pumpkin Day, Pumpkin Night by Anne Rockwell and Megan Halsey may appeal to preschoolers. This story brings trick-or-treaters and Halloween into a pumpkin-themed story. What happens when an early October snow covers the ground in a thin layer of white? The children in Snow Pumpkin, by Carole Lexa Schaefer spend a glorious morning making a snowman from snow and a harvest pumpkin. But when the early snow melts away, they bring home the pumpkin head and put it in the window with paper snowflakes. 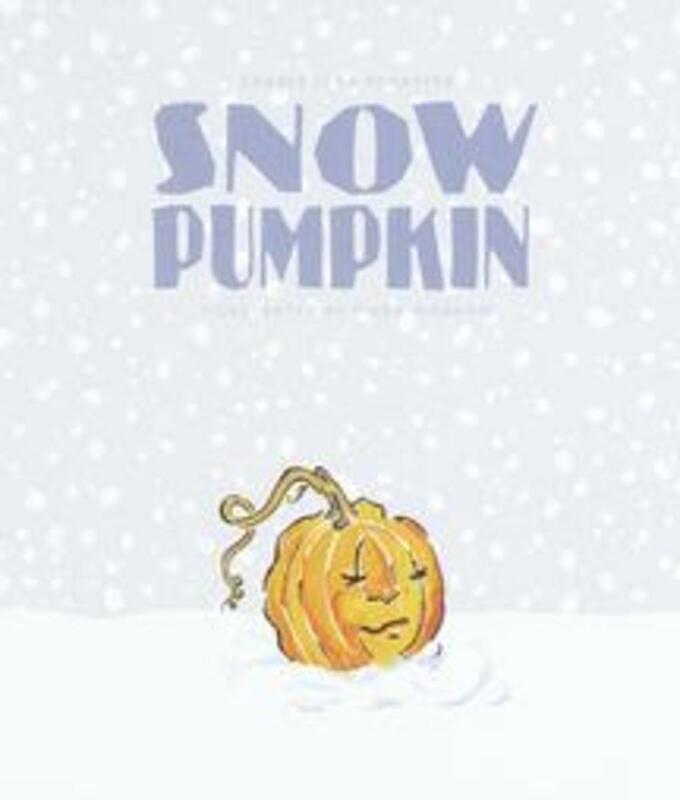 This book is a nice change from many other pumpkin-themed stories and is a fresh take on the pumpkin theme. This book shows children playing outside during the changing seasons and highlights resourcefulness and creativity. Are you looking for an approachable book that will introduce estimation, counting, and investigative skills? How Many Seeds in a Pumpkin? by Margaret Mcnamara and G. Brian Karas puts these skills to work through a likable early grade school protagonist, Charlie, and his elementary school classroom. Themes include science, math, and counting. Despite science and math themes, the pictures and fictional storyline make this book worth sharing even with older preschoolers. 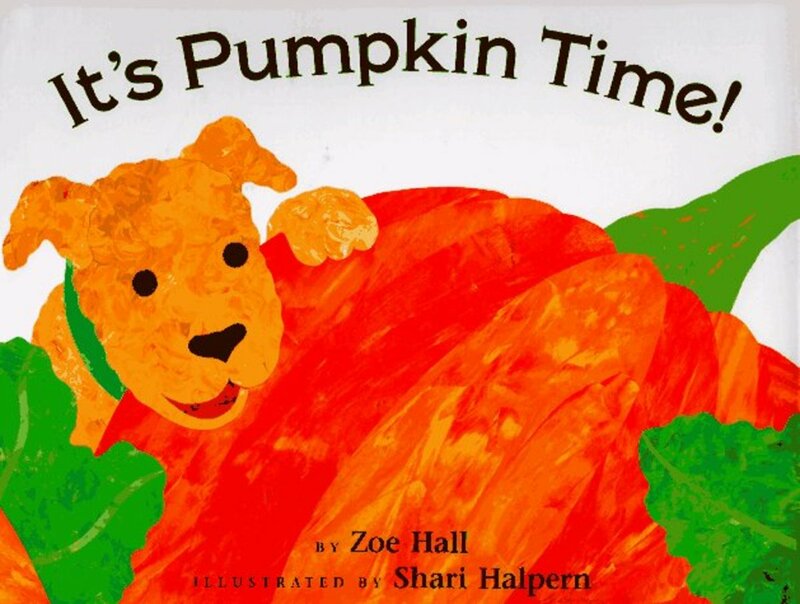 Check out Charlie's fun pumpkin facts at the end of this book. It's Pumpkin Time! by Zoe Hall and Shari Halpern. This preschool-friendly garden themed pumpkin book follows the life of a pumpkin from seed, to vine to Jack-o-lantern. 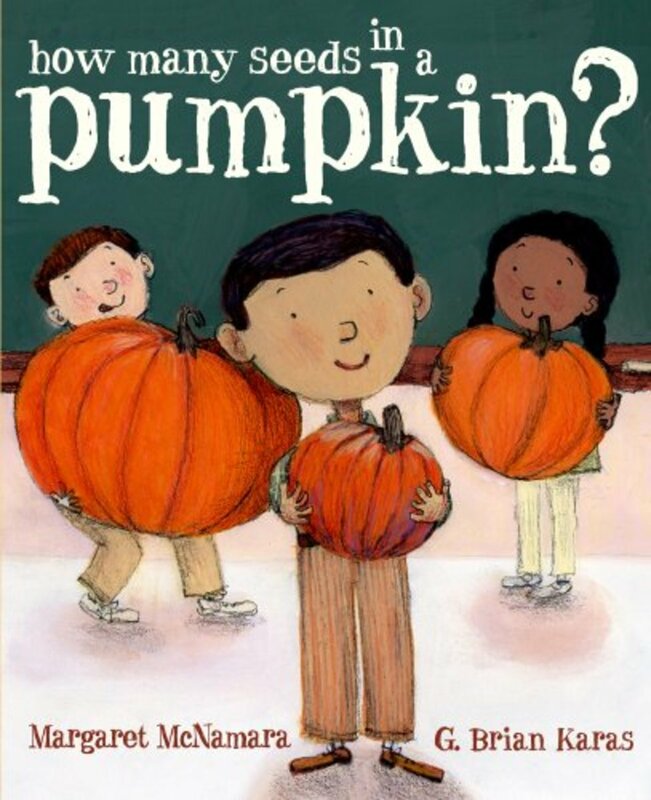 The text of this story is simple, yet the book offers a solid foundation for some preschool-level science fun with pumpkins. 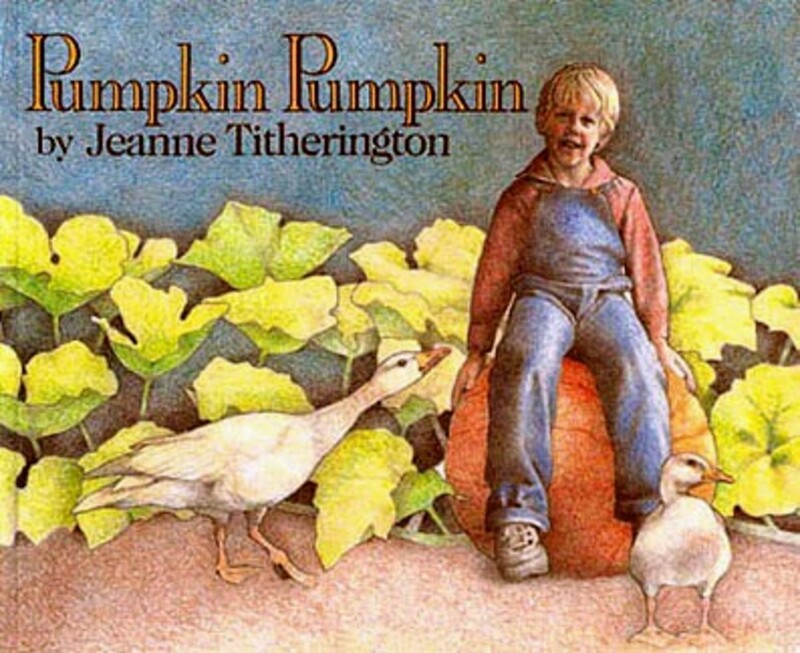 Pumpkin, Pumpkin by Jeanne Titherington is another offering in the realistic fiction category. 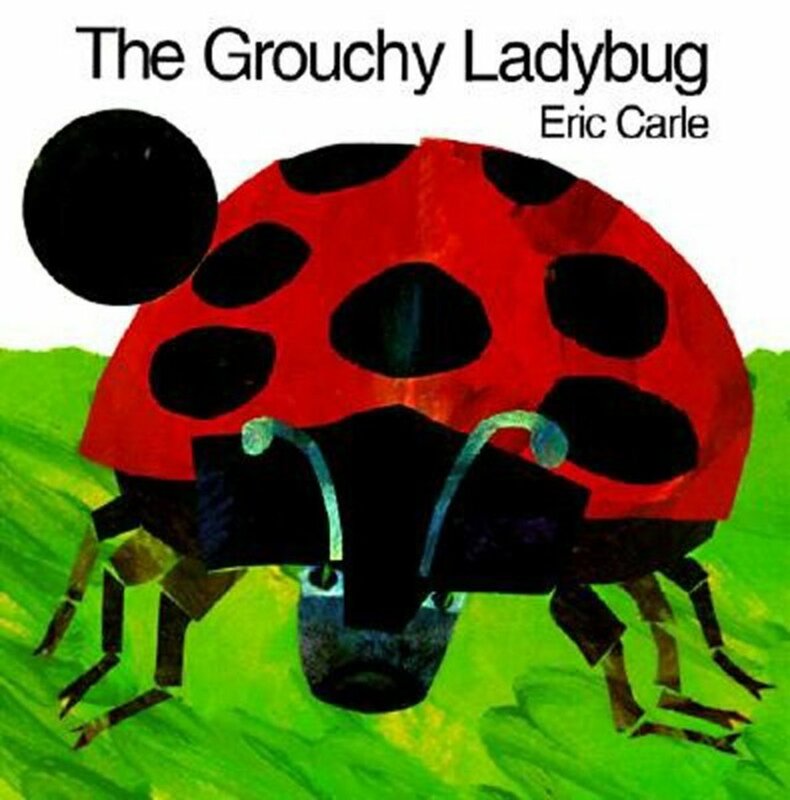 Lovely watercolor art that is more realistic than some of the other selections for young preschoolers paired with large-print words make this book another popular selection for the younger preschool crowd. This book features a young boy in with his pumpkin growing in the garden. 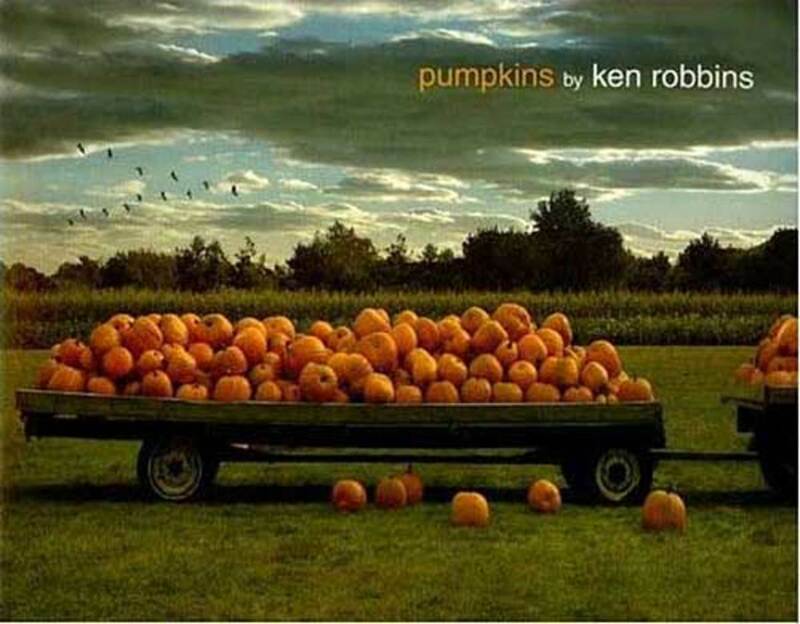 Pumpkins by Ken Robbins includes short, simple text and beautiful full-color photos taken by the author instead of drawn or painted illustrations. Some of these pumpkin-themed activities may help you to develop a lesson from this book list. Pumpkin Sizes. Get 5 pumpkins or ask parents to bring them to class. Sort the pumpkins from largest to smallest. Pumpkin shapes. Make a Jack-o'-lantern face on a prepared pumpkin worksheet using shapes cut from black construction paper. Have kids that are old enough trace and cut their own rectangles, triangles, and semi-circles to make eyes, noses, and mouths, and don't forget ears and eyebrows! Learn about the process of growing from seed to plant in a garden. Get pumpkin seeds, dixie cups, and dirt and plant the seeds in a small cup. Encourage kids to take their cups home and water the seed to see if it grows. (The purpose of this activity mainly is to reinforce the idea that pumpkins grow from seeds rather than to grow an actual pumpkin vine). 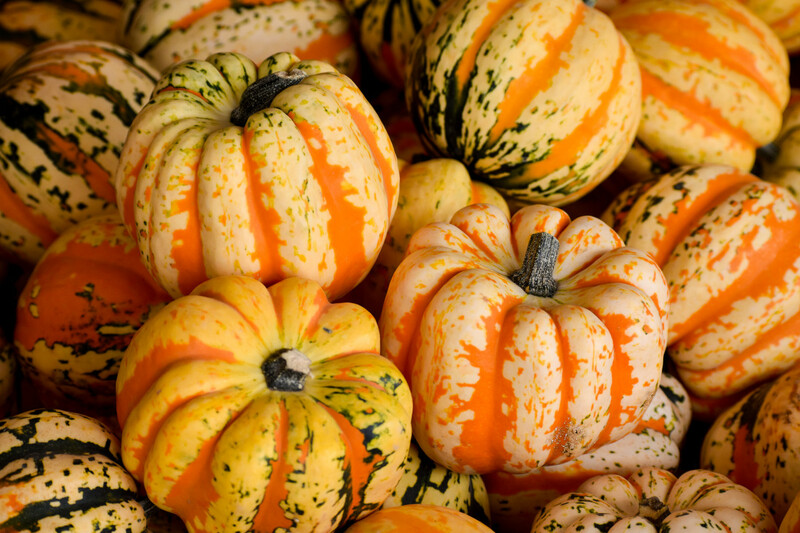 Talk about the nutritional qualities of pumpkins. Pumpkins are a healthy orange vegetable (botanically they are actually fruit, but keep it simple). Vegetables are an important part of a healthy diet, and help you to grow big and strong. if you eat lots of vegetables, you can grow big and strong, but too much candy and junk food will make you small and weak. What are some other orange veggies? Use play food or a magnet board featuring veggies (available for purchase online and at some educational supply stores.) If you go in this direction with your unit you may also want to use Lois Ehlert's Eating the Alphabet. Great resource for parents and teachers!